Hailed as one of the greatest skippers to have played the game of cricket, Mahendra Singh Dhoni’s achievements are second to none. The 37-year-old’s genius and his incredible ability to read the game expertly, has seen him conquer all the three ICC competitions available. 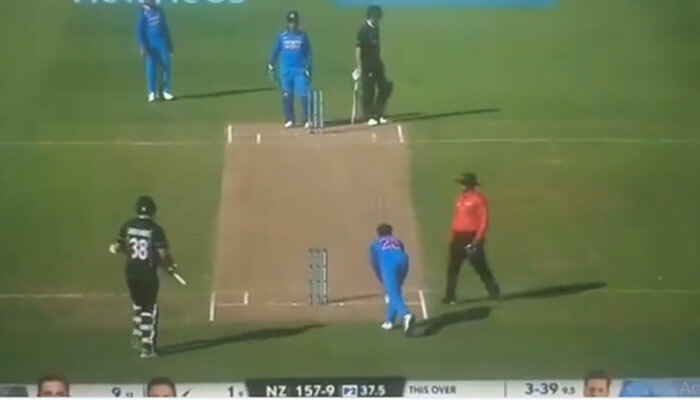 While there are countless examples of Mahi weaving his magic from behind the stumps, the first One Day International between India and New Zealand was no different. Riding on some outstanding display of bowling from Mohammad Shami and Kuldeep Yadav, India has already rattled the hosts in their own backyard. The Kane Williamson led New Zealand side were bundled out for a mere score of 157 at McLean Park in a completely one-sided game. However, we saw an MS Dhoni masterstroke when Kuldeep Yadav was bowling to tail-ender Trent Boult. Dhoni, who seemed to have already studied the Kiwi pacer’s mind, asked Kuldeep Yadav to bowl around the stumps. He also mentioned that Boult will try to defend the bowl blindly, which will give Kuldeep an advantage. Obliging to his senior’s advice, Kuldeep came around the wicket to pitch in a googly to Boult. And guess what? 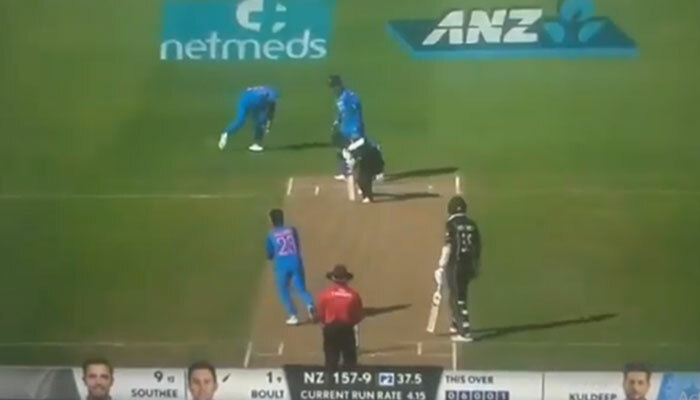 Boult went for a forward defense only to edge it to Rohit Sharma, who was standing at first slip.